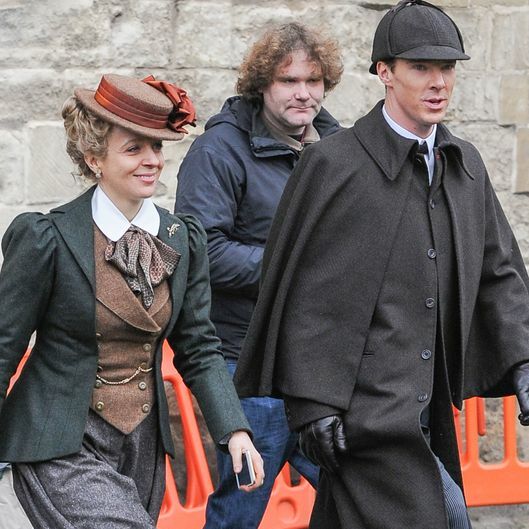 When Benedict Cumberbatch was photographed dressed up as original-recipe Sherlock for Sherlock's upcoming special episode, we wondered: Was it time travel? A dream sequence? A masterful bit of trolling? Now, thanks to Steven Moffat, we have our answer: None of the above! As it turns out, the entire special will be set in the 1800s, and none of it is canon. Since it's not Sherlock canon, but if they encounter the Paternoster Gang could it be canonical in another TV universe?